Αfter last month’s initial blast of 100-degree days, the summer has settled into a routine of hot days and sultry warm evenings, perfect for entertaining outside. Summer calls for entertaining with rosés, which come in a wide range of hues with flavors dominated by strawberries, cranberries, raspberries and watermelon. However, summer entertaining can pose a challenge for wine drinkers finding themselves choosing between heavy-bodied reds and over-simplified white wines. Oddly, many wine drinkers have a pre-conceived bias against rosés, even when it’s someone who hasn’t tasted one since the Beatles were together. “I think the last one I had was in a funny-shaped bottle way back in college,” said a guest recently, her hands outlining the unforgettable shape of Lancer’s Rosé, which did double duty as a wine-bottle slash candleholder for many a college student when Nixon still was president. Sadly, it’s easy to dismiss pink wine. Say “rosé” and most Americans think of something cheap, the sweet “blush” wines such as Lancer’s or Sutter Home’s white Zinfandel. But there are many reasons to enjoy rosés, as fellow wine writer Jeff Siegel, aka The Wine Curmudgeon, noted recently in his annual rosé review. A bit of pink-wine history is supplied by David White, founder and editor of the daily wine blog Terroirist.com. In a recent column, White explained that way back in 1975, Sutter Home winemaker Bob Trinchero had some of his white Zinfandel get “stuck” during fermentation, meaning the yeast died before all the sugar had converted into alcohol. Rather than add more yeast, Trinchero let the wine sit for two weeks, White said. When Trinchero revisited the wine, he knew this wine would be a hit and that’s how what we now know as Sutter Home’s white Zinfandel was born. As White and others have seen, the white Zin bandwagon would fill quickly. But popularity does not mean great wine. 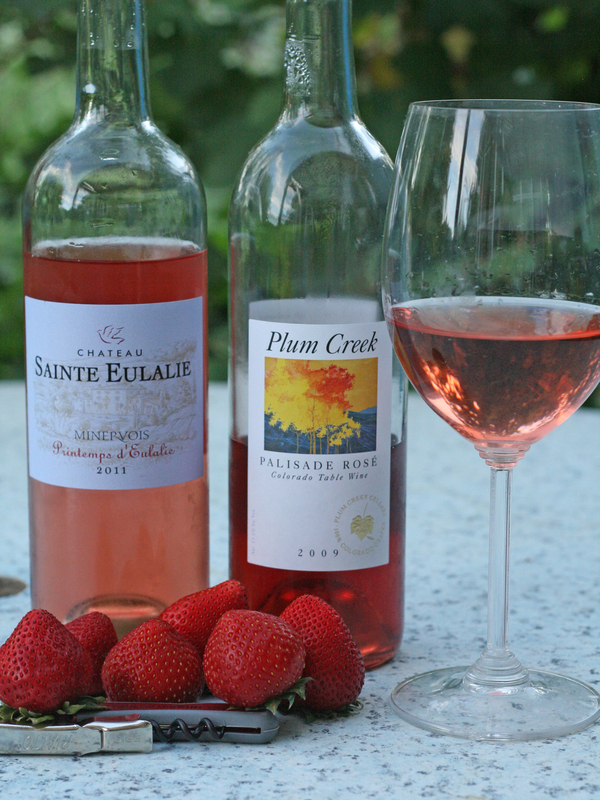 White Zinfandels and similar “blush” wines usually are too sweet, more like strawberry Kool-Aid with an alcohol kick. True rosés, particularly those from France and Spain, are bone dry, multi-layered and refreshing. And those layers of complexity make the wines as food friendly as any wines. There are several ways to make a rosé wine, but the two most common are leaving grape skins in the fermenting juice just long enough to add some color (remember all grapes give white juice) and the process called bleeding (“saigneé”), where the light-colored wine is siphoned off the freshly crushed grapes. The main flavors are strawberry, cranberry, watermelon and raspberry although you might find a kiss of red flowers, some spice and even a hint of minerality. And don’t take “pink wine” literally because not al of them are pink. Rose´s can vary from a light salmon to a medium red or dark rose (as in flower). And most alcohol levels can/should be 13 percent or less, which means a glass or two is refreshing rather than stupefying and puts you asleep by the pool. Americans slowly are coming around to rosés, in part, I think, because Americans are traveling to countries where good rosés are common. Chateau Pesquie “Les Terrasses” 2010 — $13, well-balanced, dry, medium-bodied with raspberry and red cherry flavors. Plum Creek Palisade Rosé 2009 — $9, semi-sweet, notes of ripe strawberries, watermelon and red cherry. Canyon Wind 47-Ten Rosé 2011 — $14, dry, medium-bodied, notes of strawberry, cranberry and pineapple, at 14.6 percent alcohol the hottest of the tasting. Chateau Sainte Eulalie Minervois 2011 — $15, dry, made in the saigneé method, hints of strawberries, raspberries and spice, 13.5 percent alcohol.